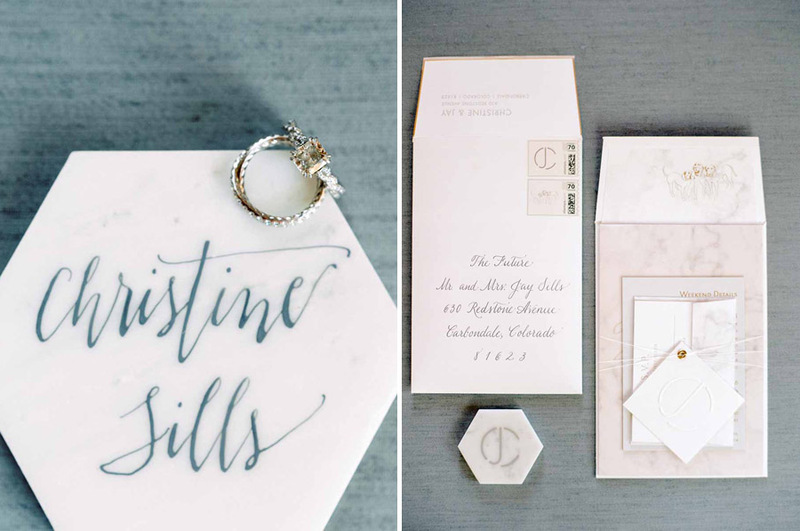 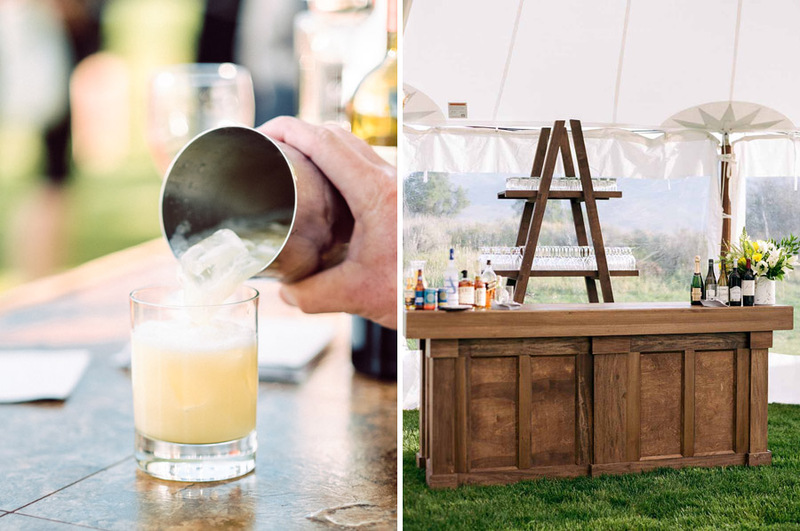 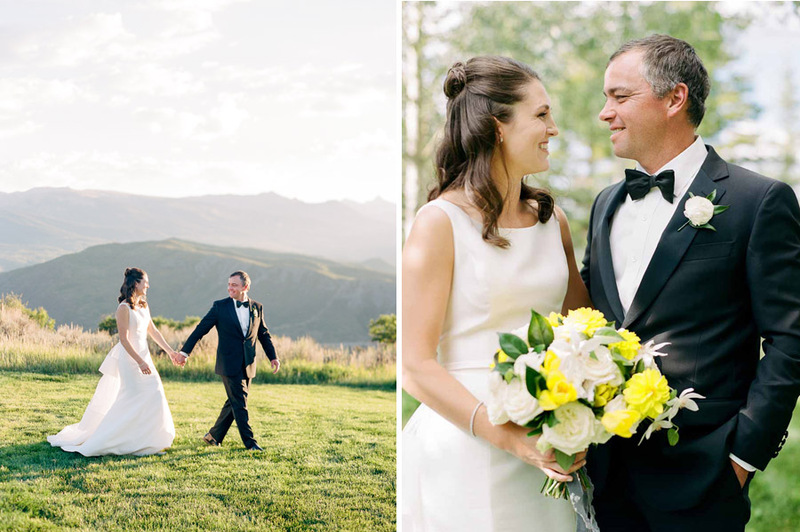 This wedding was so much fun to plan as it was for my right-hand gal, Christine! 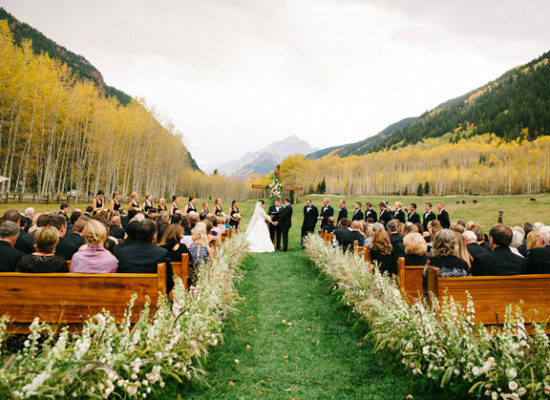 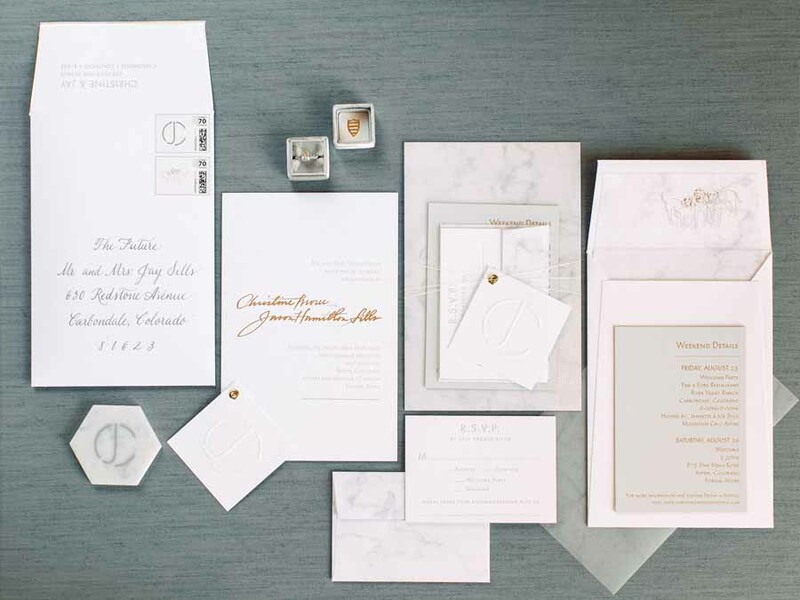 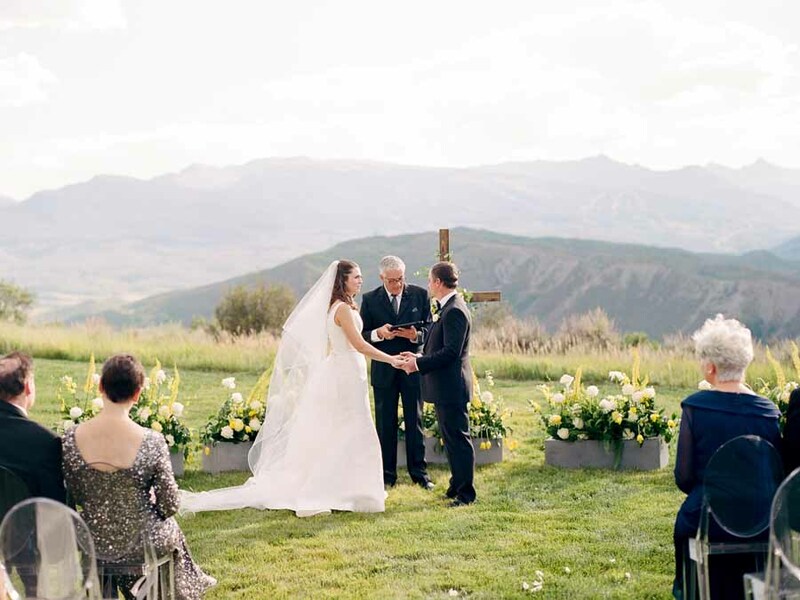 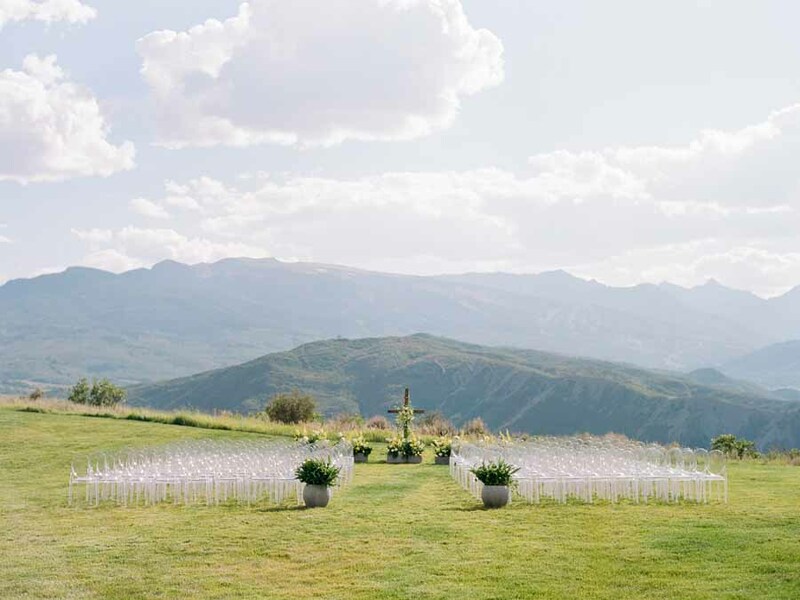 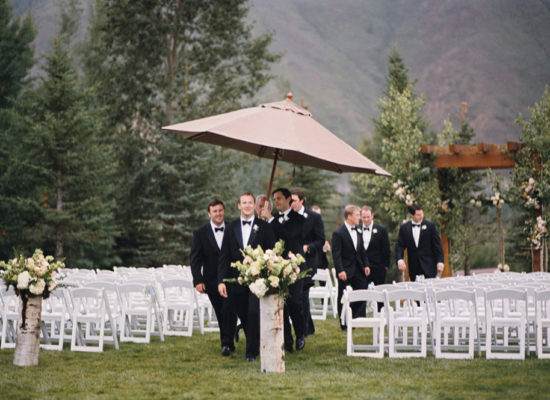 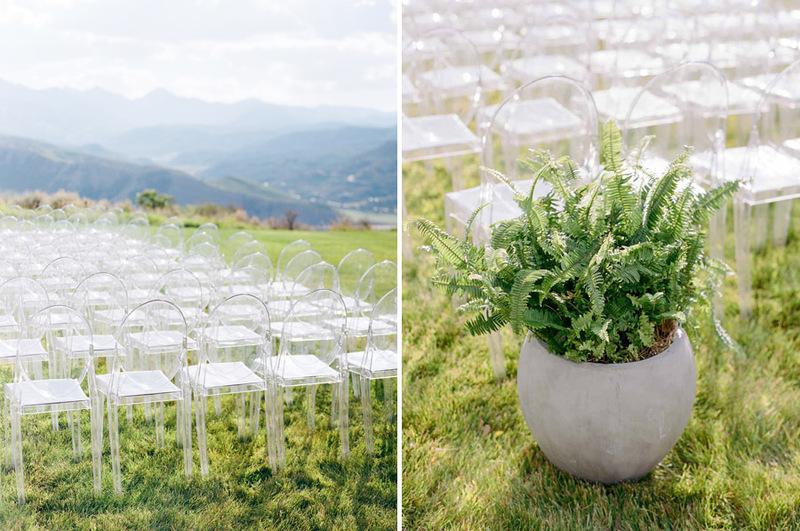 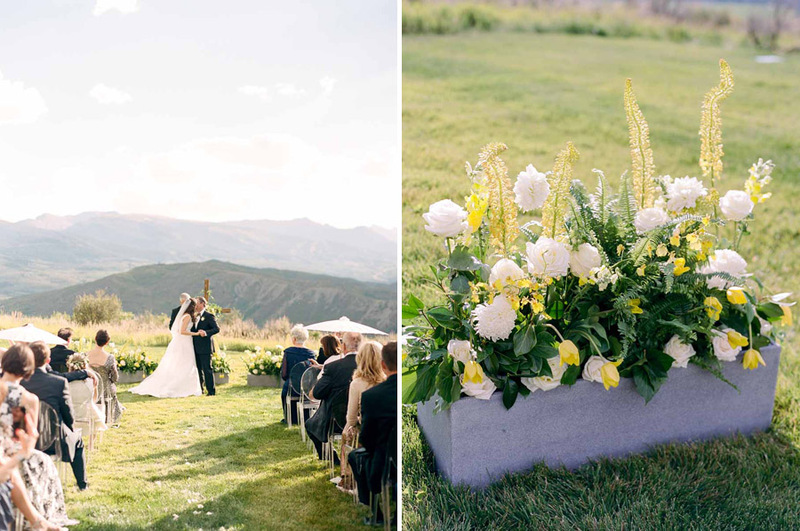 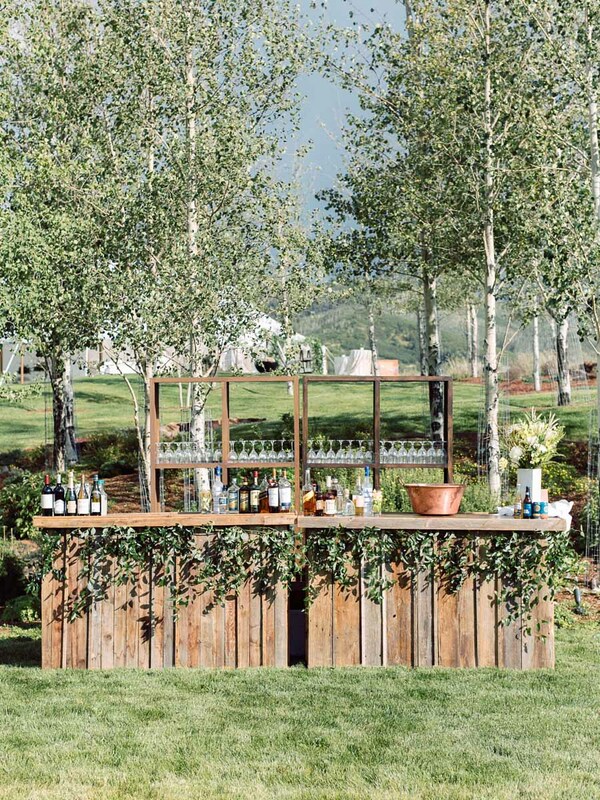 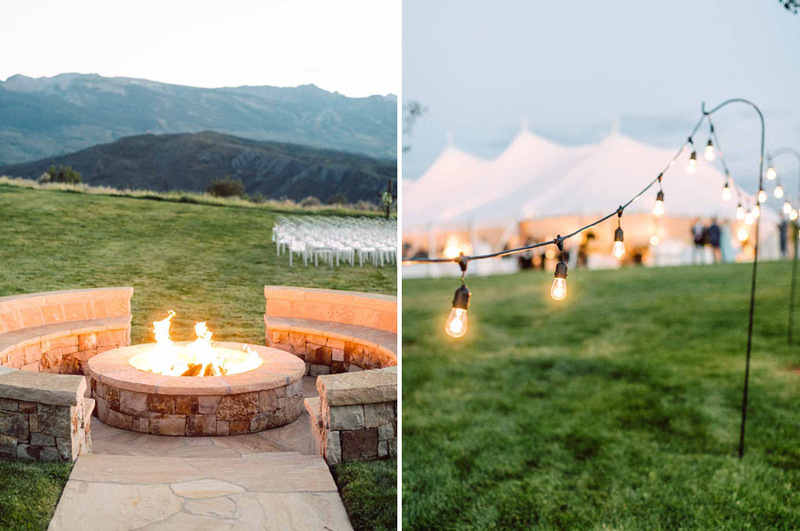 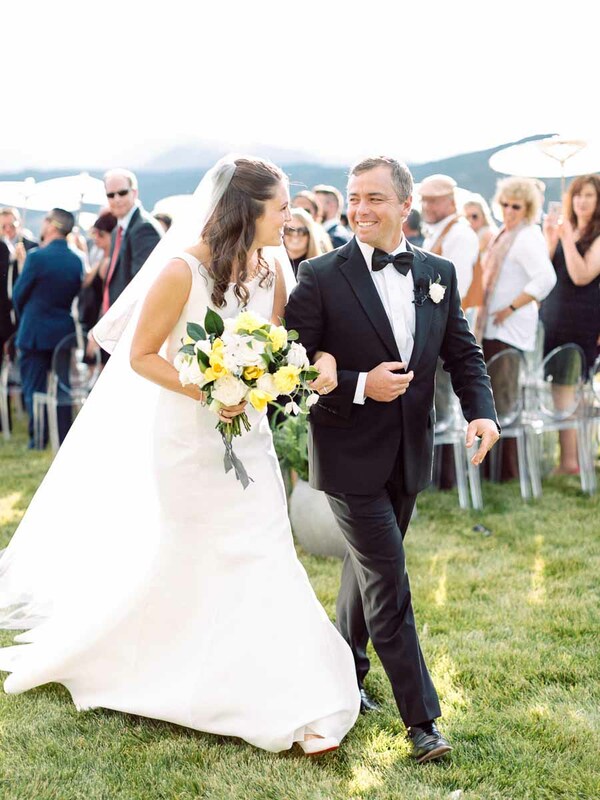 For the location, the couple wanted beautiful mountain views and this private estate fit the bill. 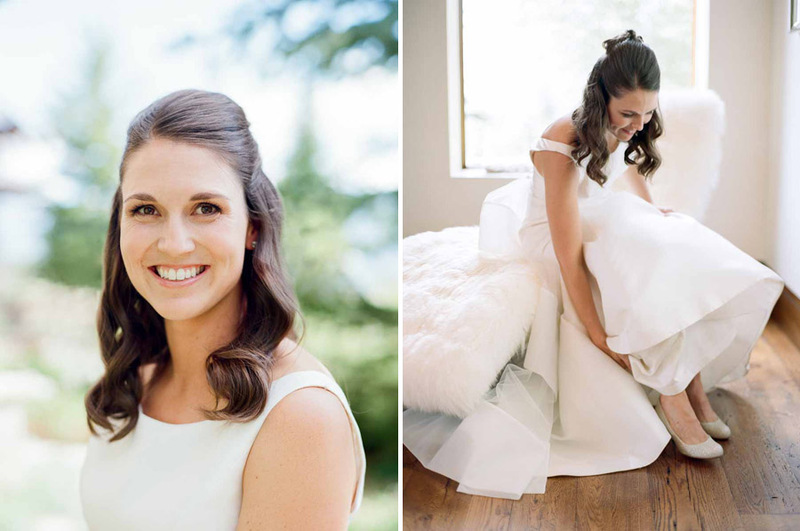 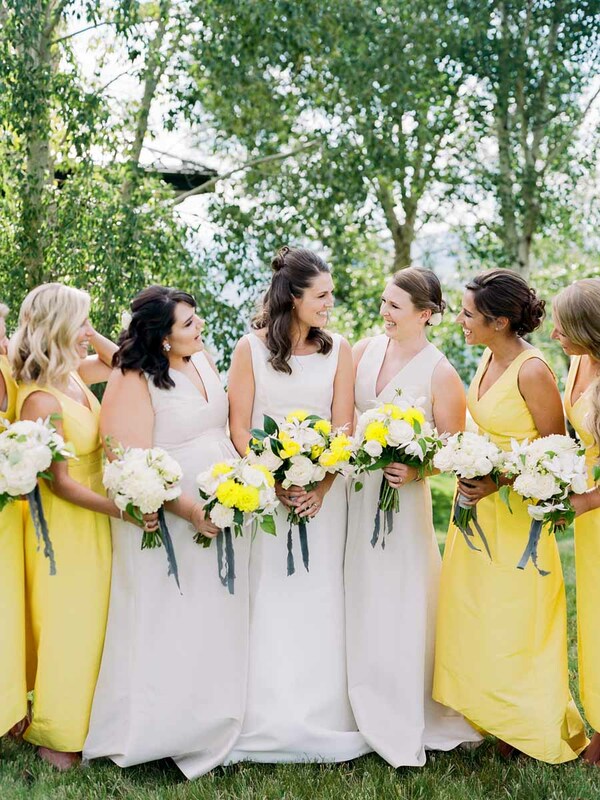 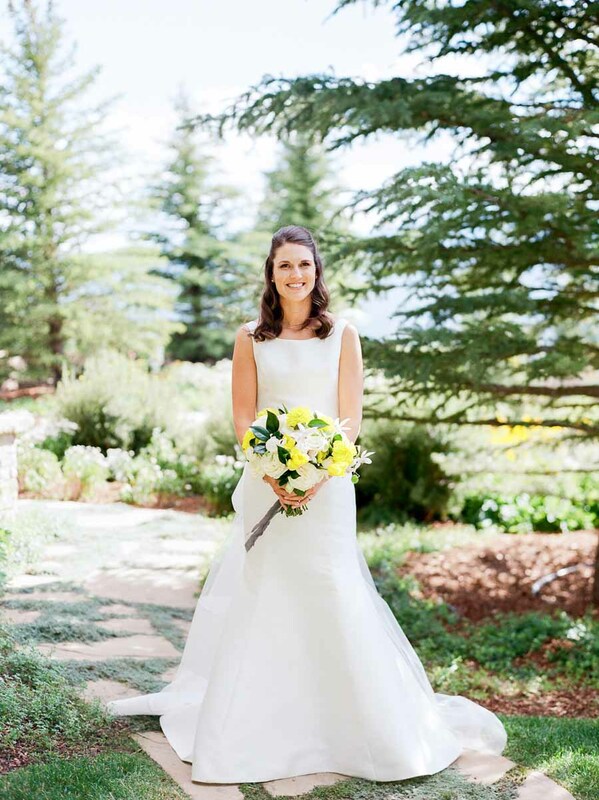 For the dress, Christine chose a simple A-line wedding dress and fun, yellow, dresses for her bridesmaids. 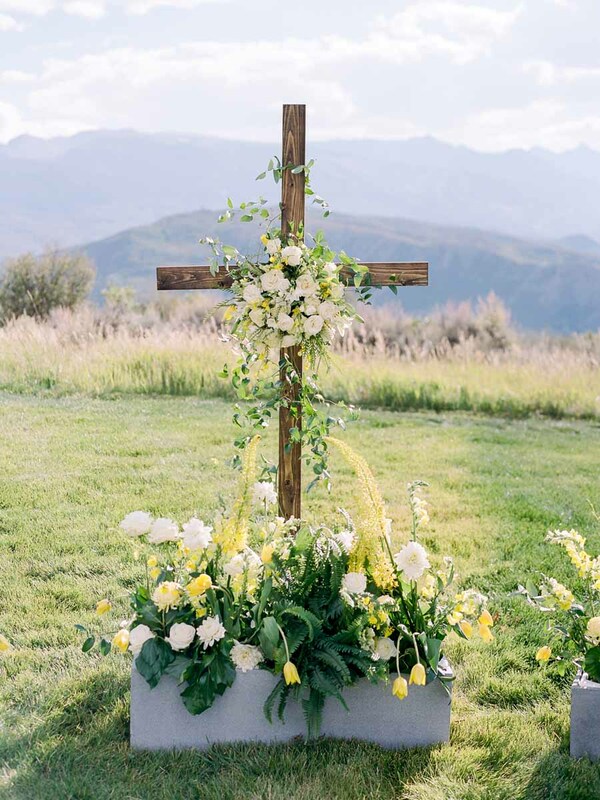 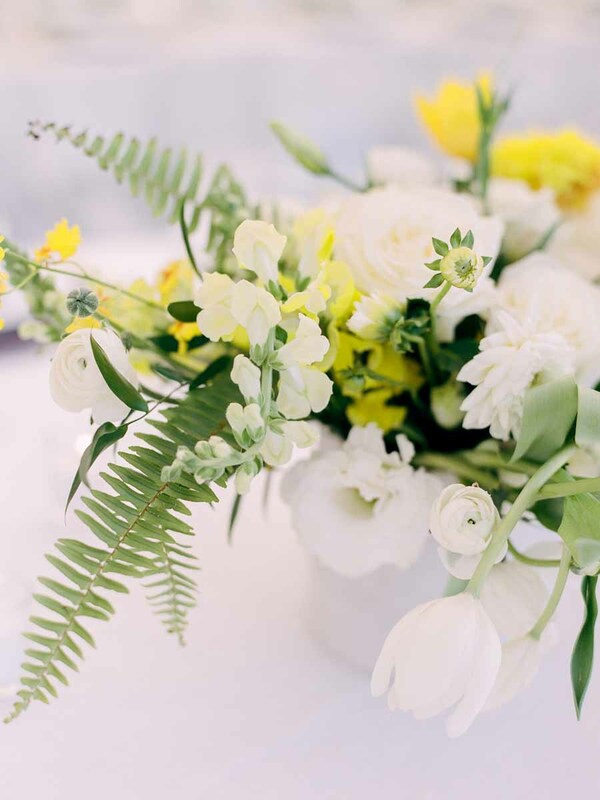 More pops of yellow could be found in the floral design by Carolyn’s Flowers, and were accented with classic white flowers and lush green foliage. 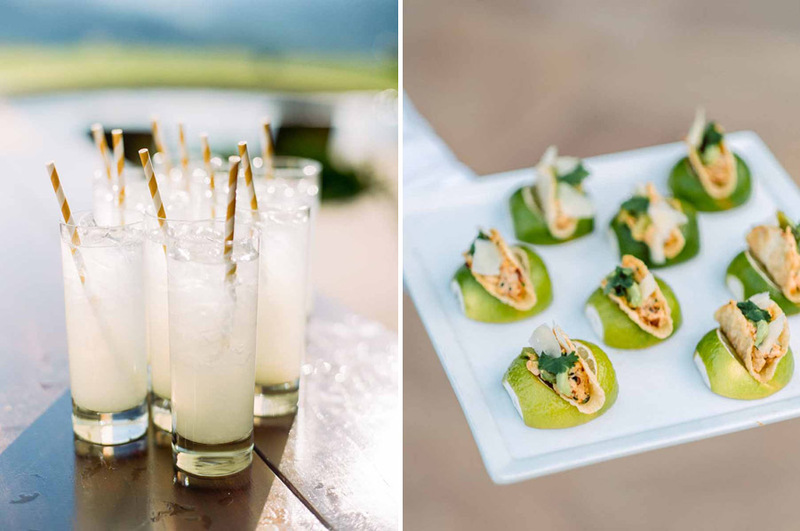 After ceremony, an elegant al fresco cocktail hour featured adorable mini tacos from the caterer, Hotel Jerome, and cool bars from Premier. 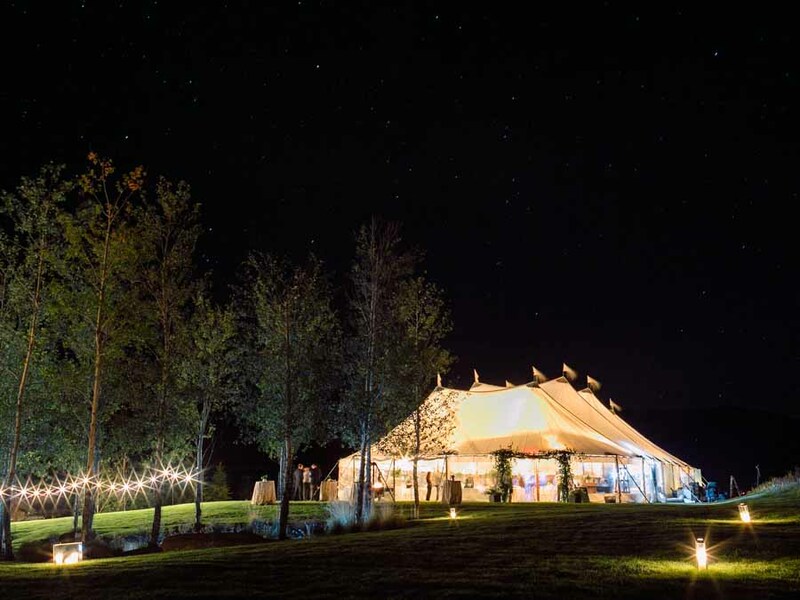 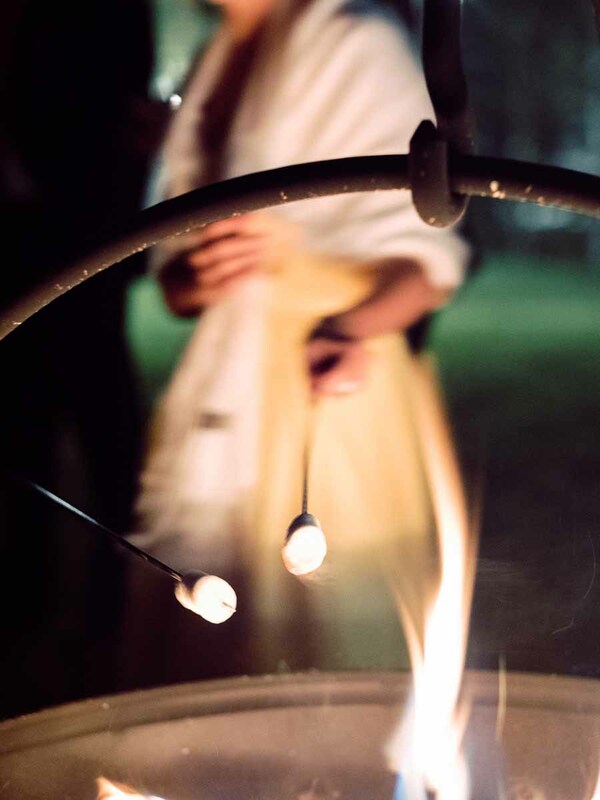 Dinner was held in an elegant canvas tent and a lush green arch of smilax and hops greeted guests as they entered the space. 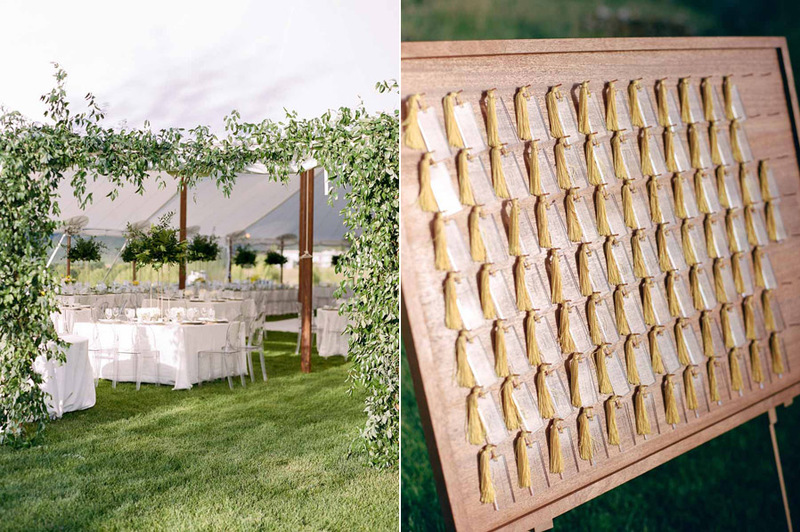 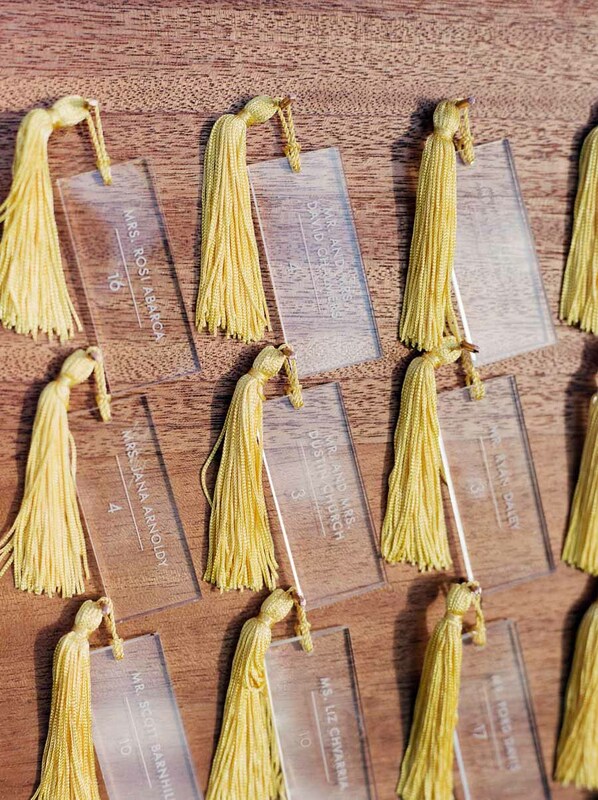 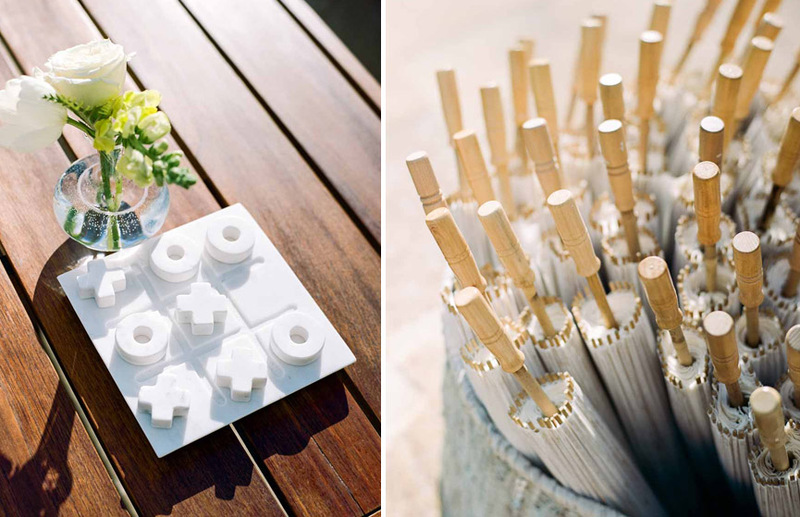 For seating assignments, a unique display of custom plexi tags with the guests’ name were accented with a bright yellow tassel. 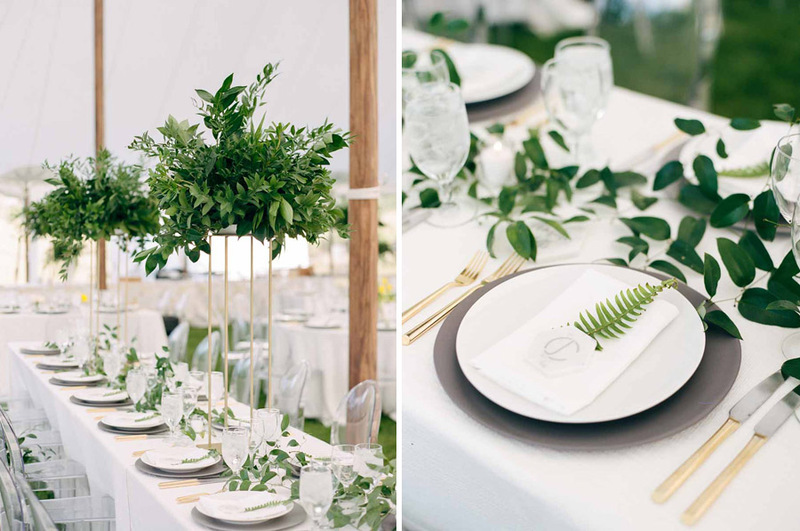 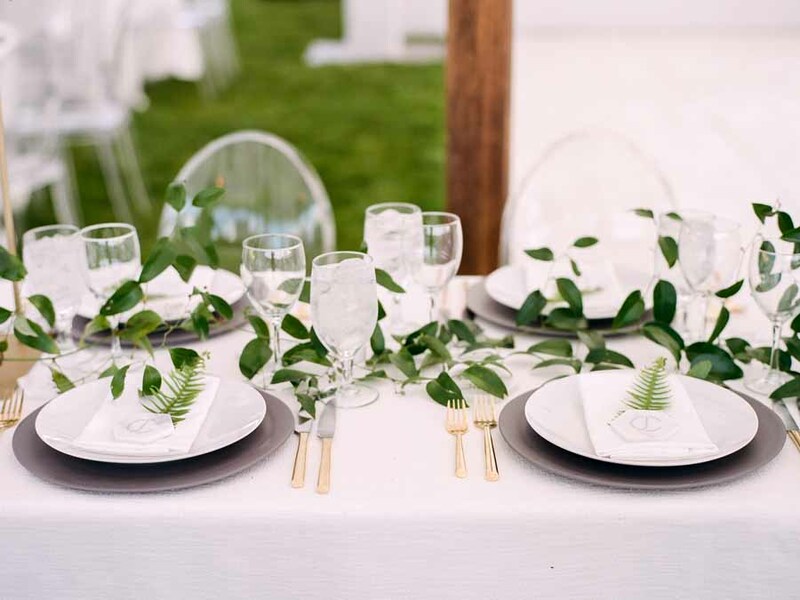 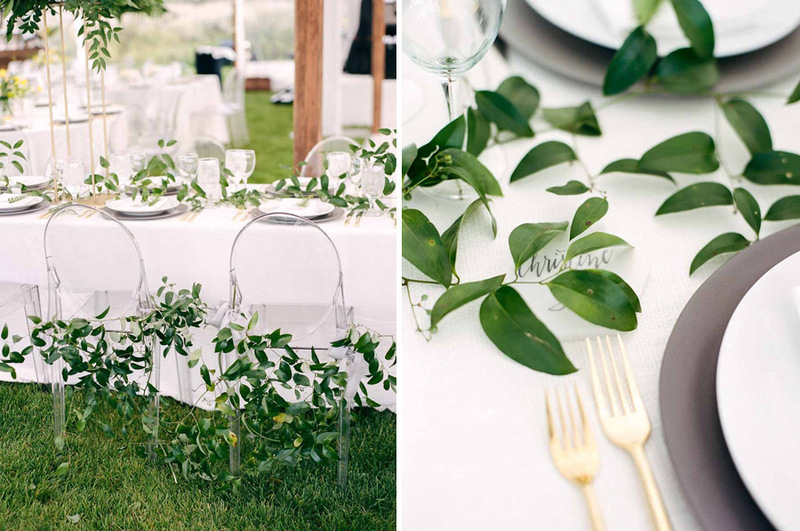 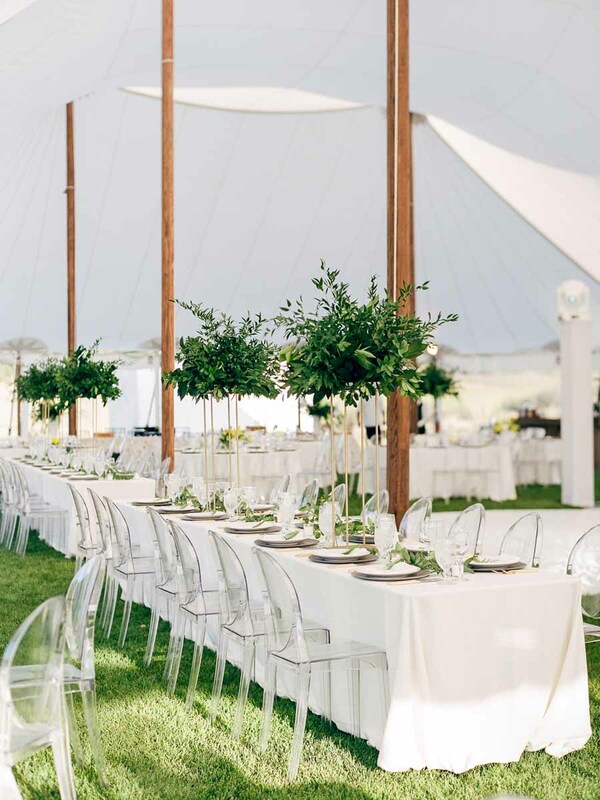 On the tables, two different designs were featured the first simple, green smilax garlands trailed down long tables and were punctuated with tall, lush green centerpieces. 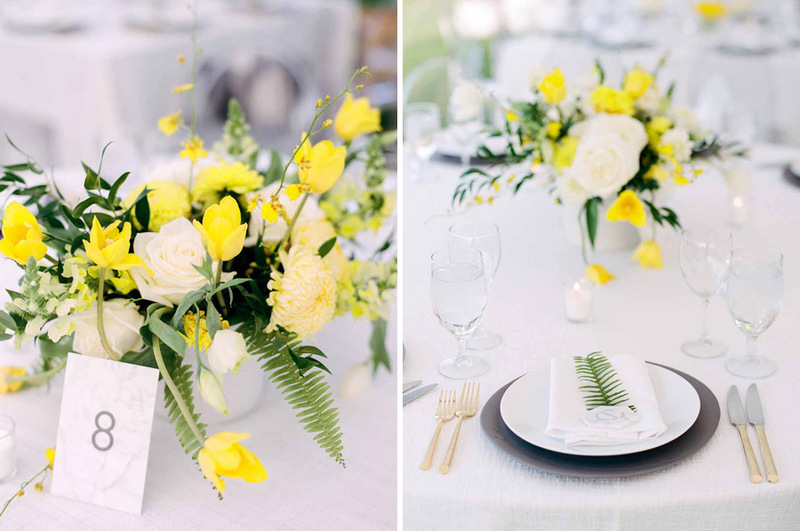 Round tables featured green and white centerpieces with more pops of yellow. 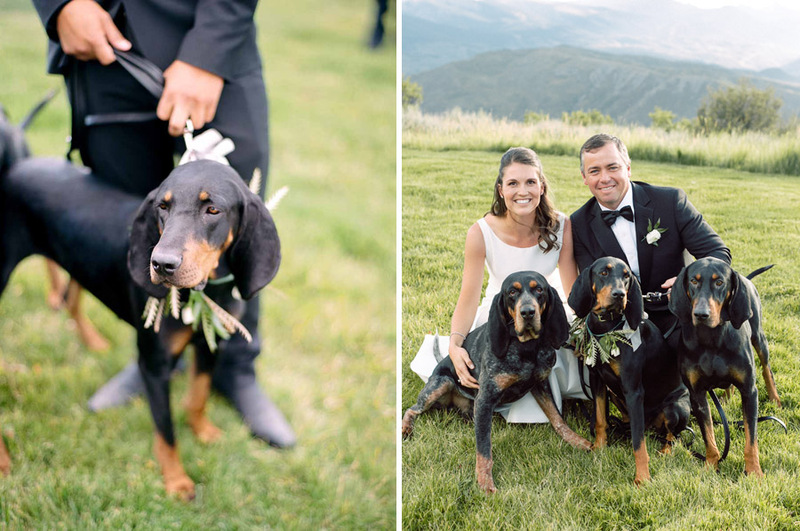 And finally for dessert, the couple’s dogs served as a model for the Groom’s cake. 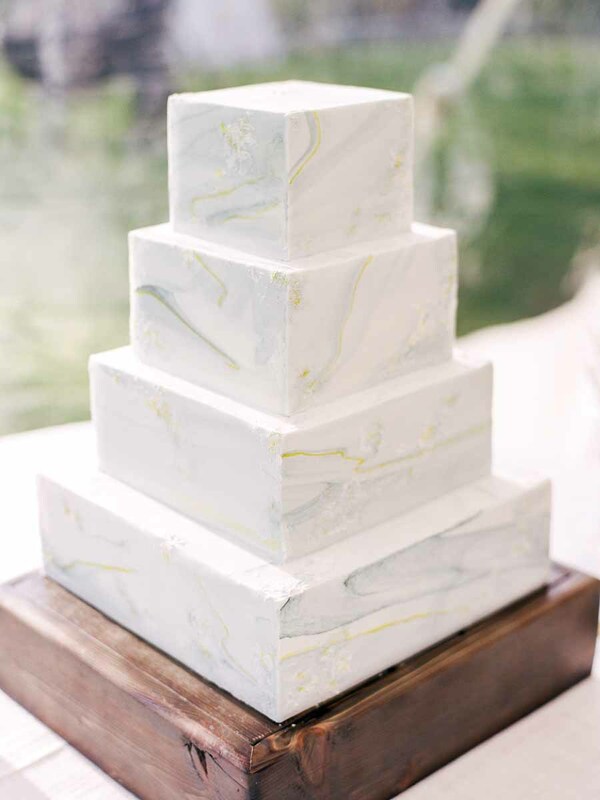 And for the traditional wedding cake, square tiers were decorated with marble pattern by Megan Joy Cakes. 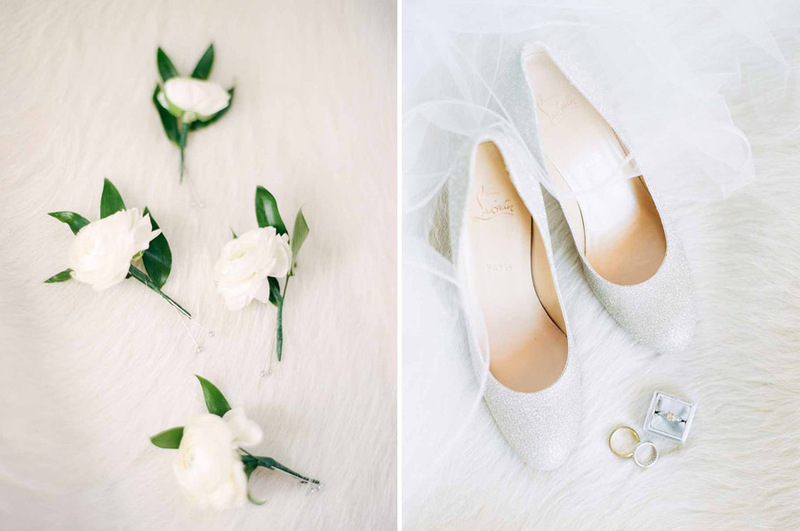 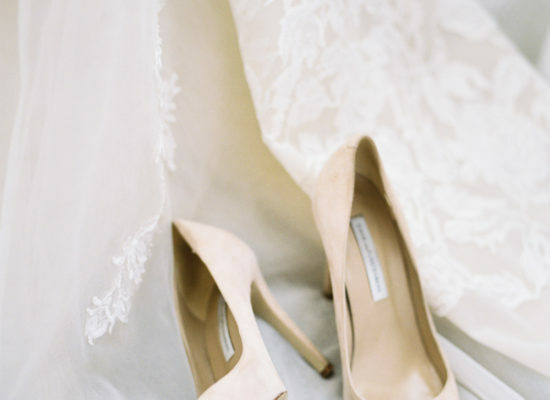 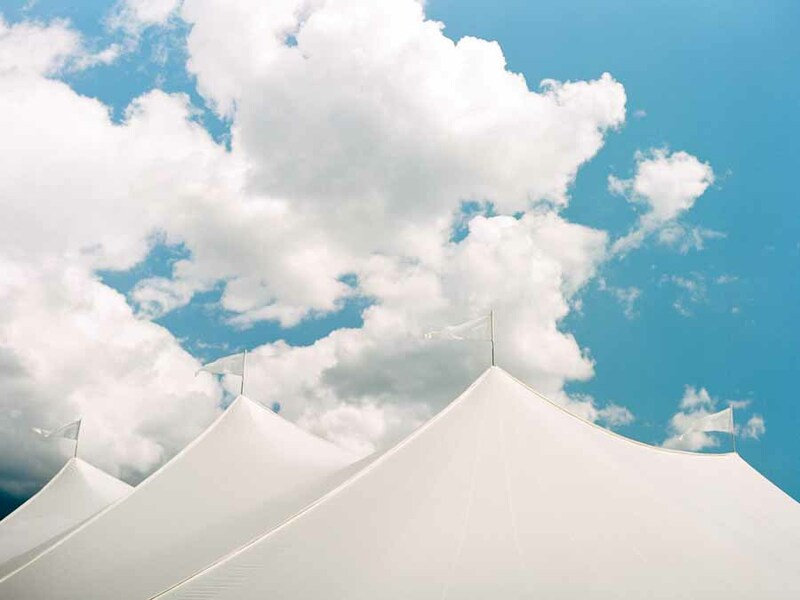 All was captured by talented film photographer, Rachel Havel.